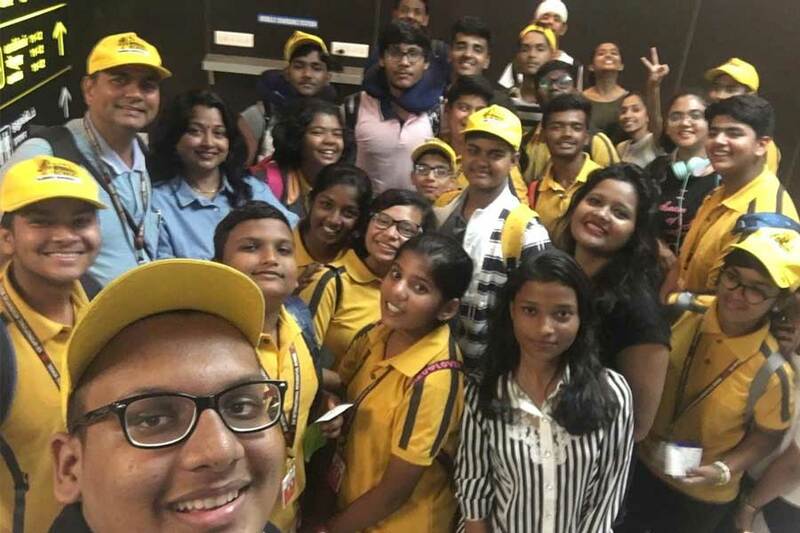 It was learning with exploration and interaction that came to an end on October 21, 2018 when all the students from SAI International Residential School as they boarded the flight to Chennai from Singapore and reached India and by the midnight they reached Bhubaneshwar. On October 16, children visited the Singapore Science Center and the Nan yang Technological University (NTU). Mr. Zong Han a young entrepreneur and also a student held a 3 days session on Entrepreneurship and Start-ups at the NTU. He let the students perform various activities and also shared the five crucial processes for design thinking – Empathize, Define, Ideate, Prototype and Test. They were suppose to develop a business idea, search for the flaws in the idea and the probable solutions to it, focus on the uniqueness of the idea and also prepare a the cost structure. The students also got a fair idea of website design and product marketing. At the science center they acquired knowledge as well as congenial experience. They were amused by the famous Tesla show there and also wandered around the butterfly garden which was absolutely amazing. The minds of all students were enlightened in a most fascinating manner. The Scientific experiments and demonstrations were simply brilliant. The children just fell in love with what they saw. The movie show: ‘The Space Next’ gave the children an insight into what the future is going to be like. Children even visited the Marina Barrage and the NeWater Plant it is a wonderful work of innovation and technology. Singapore gets a major part of its water supply from this magnificent plant. Sea water is converted to drinking water and which is truly amazing exercise while Marina Barrage is built across the mouth of the Marina Channel and is located in the heart of the City. They visited the famous Marina Bay Sands Sky Park. The view of Singapore from the 56th floor of the iconic building was absolutely breathtaking and stunning. Thereafter, they visited the one of its kind- Gardens By the Bay. The Gardens By the Bay is a huge, colorful, futuristic park in the bay area of Singapore. The famous Supertree structures offer an impressive skywalk over the gardens, over-sized seashell-shaped greenhouses recreate chilly mountain climates and there are hundreds of trees and flowers. The concern of the people of Singapore towards nature and environment is exemplified by the Gardens. They spent a lot of time studying the various species of plants and clicking some amazing pictures at this place. 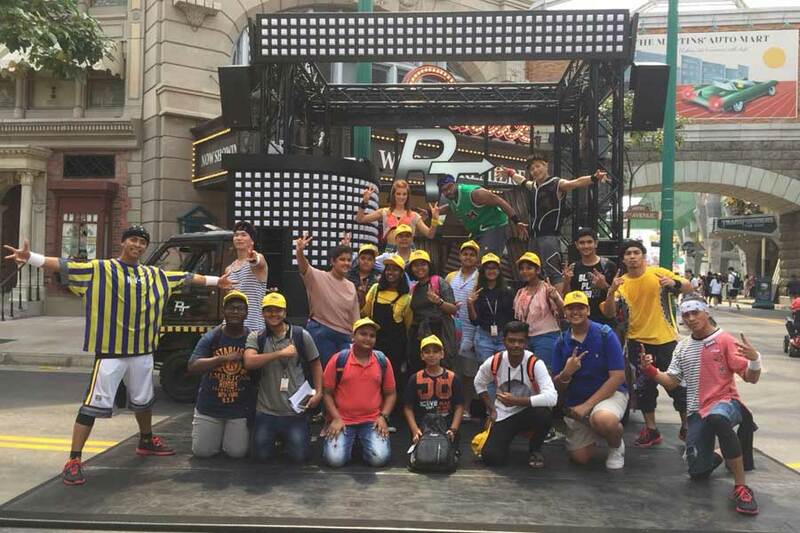 To cover as much of the sightseeing as possible they started with a brief shopping spree at the famous Vivo Mall. Subsequently, they went to Sentosa Island by bus. The visit to the huge aquarium was a wonderful experience. 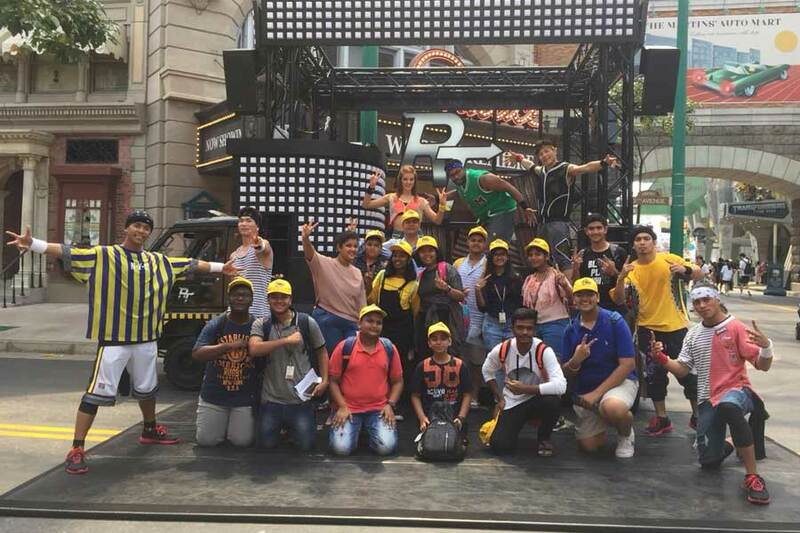 They visited the much talked about Madame Tussaud’s Wax Museum where the children got an opportunity to click photographs with life size replicas of the favorite stars from all walks of life. they had fun at the Universal Studios, the famous theme park with interesting rides, shows etc. Students enjoyed the various attractions like road shows, adventure sports, joy rides to their heart’s content. The Cable Car Ride was another exciting but a little scary ride but the view of the Island Country from that height was simply amazing. They watched a short movie ‘The Wings of Time’ that was screened on the Sentosa beach depicting the progress of man over the ages. It was a spectacular display of water, lights, music and fire and as such the most outstanding spectacle of the day. A short session of Gharba Dance was organised in the hotel garden in view of Dusshera. Singapore is an amazing land and the sensitivity of its people towards nature, environment and mankind in general is truly inspirational. 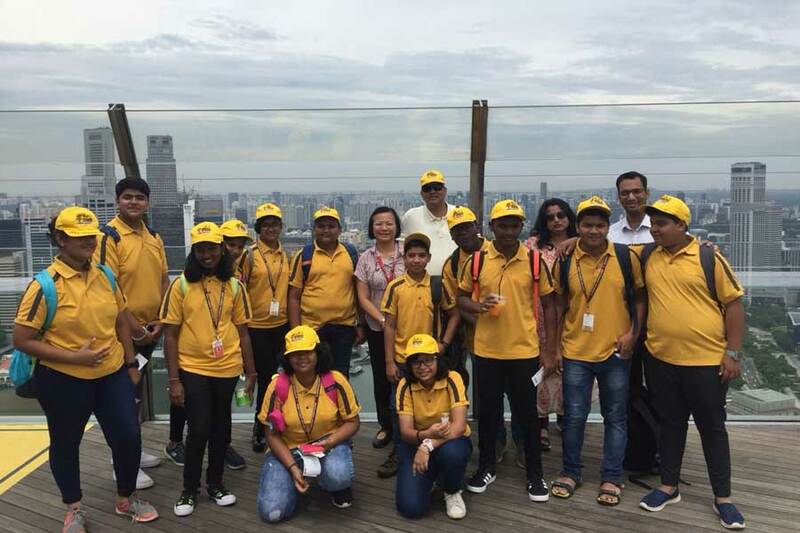 Singapore Trip was memorable for many reasons but the most important thing among them all was the healthy camaraderie and bonding that developed between the students of SIS and SIRS. Children got emotional to bid each other goodbye both at Chennai and Bhubaneswar airports. They built a bonding for a lifetime! !